Women in the Arts and Media Coalition: Did you know women coded the first computer? In the United States, women are vastly underrepresented in STEM (Science, Technology, Engineering & Math) fields, holding under 25% of STEM jobs and a disproportionately low share of STEM undergraduate degrees. Great Unsung Women of Computing is a series of three remarkable documentary films that look at the past, present and future of women in technology, inspiring female students to believe that programming careers lie within their grasp. A critical resource for students thinking of STEM careers and those who are working on diversifying the field. 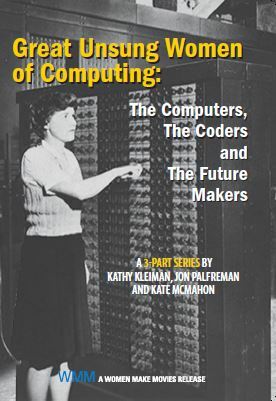 THE COMPUTERS features the extraordinary story of the ENIAC Programmers, six young women who programmed the world's first modern, programmable computer, ENIAC, as part of a secret WWII project. This stunning documentary features rare footage and never-before-seen interviews with the ENIAC Programmers. 70 years later, this is their story. THE CODERS Few know that it is two brilliant and forward thinking women, Sarah Allen and Pavni Diwanji whose technologies revolutionized the Internet with their work on the invention of Flash and Java. In THE FUTURE MAKERS, Andrea Colaço, a young MIT PhD, and winner of MIT's $100K Entrepreneurship Prize of shares her dream of a world in which we interact with our smart devices using natural hand gestures, not static keyboards or touchpads. She invented 3D "gestural recognition technology" and co-founded 3dim to develop and market it. 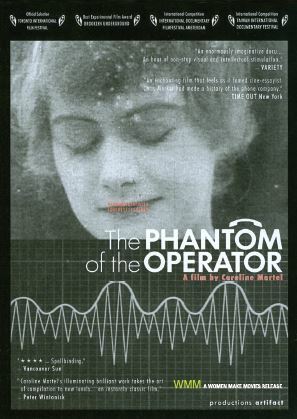 When you purchase Great Unsung Women of Computing at full price, get any of the following films for 50% off, including THE GENDER CHIP PROJECT. * These films highlight stories of female workers pushing boundaries and breaking the glass ceiling in science and technology fields. *Use code UWCOMPE16 at checkout to apply your discount. Offer applies to institutional orders only. Cannot be combined with any other offer, other exceptions may apply. Offer expires 4/01/2016.